Inspired by Savannah: The 3rd Season of CALL THE MIDWIFE Premieres Sunday, March 30, 2014 on PBS -- #Win a Swag Bag Now! 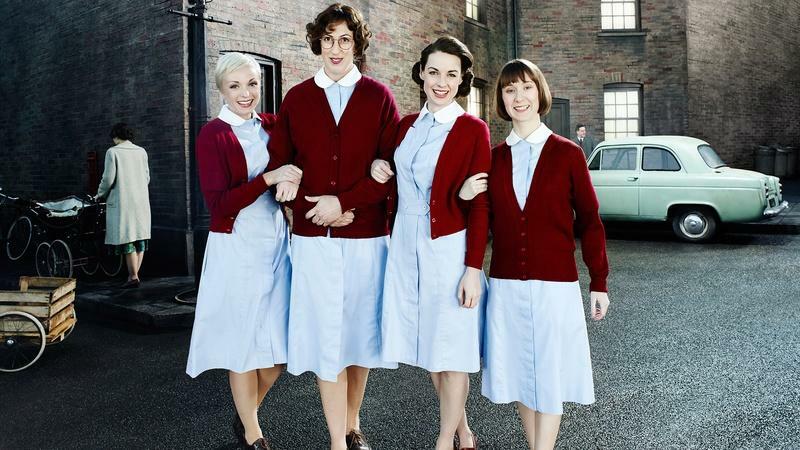 The 3rd Season of CALL THE MIDWIFE Premieres Sunday, March 30, 2014 on PBS -- #Win a Swag Bag Now! Disclosure: I was not compensated in any way for this post. I am merely hosting the giveway on my site. "PBS transports viewers back to East London on the eve of the Swinging Sixties when the British drama CALL THE MIDWIFE returns to PBS for a third season on March 30, 2014, at8:00 p.m. ET. Also debuting that night is the second season of MASTERPIECE CLASSIC “Mr. Selfridge,” starring Jeremy Piven, at 9:00 p.m. Joining the lineup on April 13 is the second season premiere of British murder mystery THE BLETCHLEY CIRCLE at 10:00 p.m. The third season of CALL THE MIDWIFE, which premiered to a record-breaking audience of 9.6 million viewers in the UK, opens in 1959 as the winds of change are sweeping through the country. Throughout the season, viewers will follow the joys and heartbreak of the midwives as they continue to care for members of the Poplar community and face management changes at Nonnatus House. The nuns and midwives of Nonnatus House move into their new premises and welcome Sister Winifred, a warm-hearted, innocent young woman. Sister Monica Joan’s increasingly eccentric behavior causes concern, and Chummy decides she wants to return to midwifery. Trixie and Jenny’s relationship falters, but is eventually restored. Cynthia, inspired by a lecture on the art of natural childbirth, helps a patient experience a peaceful, calm birth. Alec and his friends try to persuade Jenny to go on a nuclear disarmament march. Sister Julienne and Trixie assist a pregnant prison inmate who’s worried that social services will take her baby. Sister Julienne puts her reputation on the line to help mother and child stay together. Shelagh suffers heartbreak when a routine pregnancy check turns out to be something far more serious. For Chummy’s birthday, Fred gets tickets for the gang to see My Fair Lady, but they’re turned away at the box office. Jenny’s patient Leah is struggling to cope with her mother’s agoraphobia. When her husband is offered a new job and home, Leah can’t leave her mother after all they experienced in the Holocaust. With help from Sister Winifred, Mrs. Rubin steps outside for the first time in 12 years. Alec asks Jenny to go to Brighton for the weekend, but she questions his intentions. Shelagh takes over the local choir and helps bring it back to life. The midwives discover that a young Down Syndrome woman is six months pregnant, leading to difficult confessions and decisions. Dr. Turner suggests that Shelagh take over the running of Nonnatus House to allow an exhausted Sister Julienne to recuperate. Patsy, a new nurse, arrives. With her no-nonsense, hard-working attitude and sense of humor, she’s an immediate hit with the nuns and midwives. If you want to hear more from the cast, feel free to check out this link: http://youtu.be/AQXlknz-urI. Based on the best-selling memoirs of Jennifer Worth, CALL THE MIDWIFE was created and written by Heidi Thomas (“Cranford,” “Upstairs Downstairs”) and directed by a line-up of female directors including Thea Sharrock (“The Hollow Crown: Henry V”) and Juliet May (“Miranda,” “Scott and Bailey,” “Stella”). The first season was the biggest new drama on BBC One in more than a decade, and the second season averaged a consolidated viewership of more than 10 million in the U.K. CALL THE MIDWIFE completed its second season run in the U.S. in May 2013, and audiences and critics in the U.S. were equally effusive, with Season 2 breaking the top ten spot in ratings on PBS, scoring 58 percent above the 2012-2013 season-to-date primetime average, and claiming the title of Top Rated Drama on Amazon.com. CALL THE MIDWIFE stars Jessica Raine as Jenny Lee, along with Jenny Agutter (“The Railway Children,” “Spooks”) as Sister Julienne, Pam Ferris (“Little Dorrit,” “Darling Buds of May”) as Sister Evangelina, Miranda Hart (“Miranda”) as Chummy, Judy Parfitt (“Little Dorrit,” Girl With a Pearl Earring), who was nominated for a 2013 Satellite Award for her work as Sister Monica Joan, Helen George (“Hollyoaks,” “Doctors”) as Trixie Franklin, Bryony Hannah (Cemetery Junction) as Cynthia Miller, Laura Main (“Monarch of the Glen”) as Shelagh and Cliff Parisi (“EastEnders”) as Fred. Vanessa Redgrave provides the voice of the mature Jenny. CALL THE MIDWIFE (Season 3) full episodes will be available for viewing on the PBS Video Portal for a limited time after each national broadcast. CALL THE MIDWIFE (Season 3) is coming soon to DVD & Blu-ray. Seasons 1 and 2 DVD/Blu-ray are now available on shopPBS.org. Additional items, including Jennifer Worth’s memoirs, published by Penguin Books, and The Life and Times of Call the Midwife, published by Harper Collins, are also available." 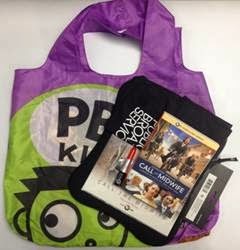 Thanks to the kind folks at PBS, one lucky reader will win a "CALL THE MIDWIFE" swag bag, valued at $60. Complete the entries on the Rafflecopter form below to enter. Good luck! About PBSPBS, with its over 350 member stations, offers all Americans the opportunity to explore new ideas and new worlds through television and online content. Each month, PBS reaches nearly 109 million people through television and over 28 million people online, inviting them to experience the worlds of science, history, nature and public affairs; to hear diverse viewpoints; and to take front row seats to world-class drama and performances. PBS’ broad array of programs has been consistently honored by the industry’s most coveted award competitions. Teachers of children from pre-K through 12th grade turn to PBS for digital content and services that help bring classroom lessons to life. PBS’ premier children’s TV programming and its website, pbskids.org, are parents’ and teachers’ most trusted partners in inspiring and nurturing curiosity and love of learning in children. More information about PBS is available at www.pbs.org, one of the leading dot-org websites on the Internet, or by following PBS on Twitter, Facebook or through our apps for mobile devices. Neal Street Productions was formed in 2003 by Sam Mendes, Pippa Harris and Caro Newling. The company has been successful in film, theatre and television with hit movies including Revolutionary Road, Jarhead and Starter for 10. Their diverse television slate includes the award-winning “Stuart A Life Backwards,” with Tom Hardy and Benedict Cumberbatch, and the hugely successful “Call the Midwife”, a ratings smash hit which, after two extremely successful series and Christmas Specials, has just returned to screens in the UK with series 3 - gaining some of the highest ever viewing figures for the show. They are currently filming “Penny Dreadful,” a psychosexual TV horror series written by John Logan, starring Josh Hartnett, Eva Green, Timothy Dalton and Rory Kinnear. Neal Street also produced the critically acclaimed and award-winning “The Hollow Crown” - a series of Shakespeare films for the BBC/PBS - starring Ben Whishaw, Tom Hiddleston and Jeremy Irons. Nicolas Brown joined Neal Street as a Company Director in 2013, to work across the film and TV portfolio. On the theatre side, they have produced The Bridge Project, Shrek the Musical and the West End musical of Charlie and the Chocolate Factory, directed by Sam Mendes.